John F Kennedy had a way with words. 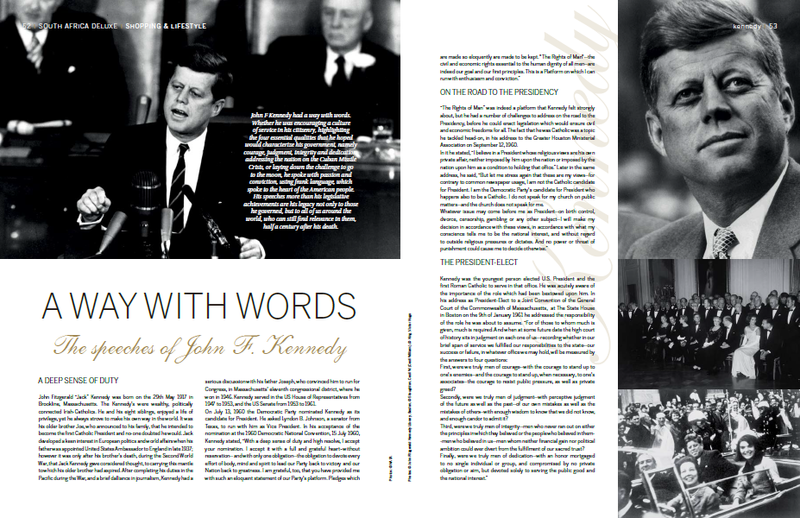 Whether he was encouraging a culture of service in his citizenry, highlighting the four essential qualities that he hoped would characterize his government, namely courage, judgment, integrity and dedication, addressing the nation on the Cuban Missile Crisis, or laying down the challenge to go to the moon, he spoke with passion and conviction, using frank language, which spoke to the heart of the American people. His speeches, more than his legislative achievements, are his legacy not only to those he governed, but to all of us around the world, who can still find relevance in them, half a century after his death.